Aside from increasing my fruit and veggie intake and making vitamins a priority, I realized that getting a great clean for my skin was incredibly important. When dead skin cells hit oxygen (yes, that’s the air), they turn an icky brown-grey color. If you don’t clean your skin, not only are you risking clogging your pores, but you’re leaving countless dead skin cells on top of your skin and contributing to both short and long term non-beauty. So what do I use? 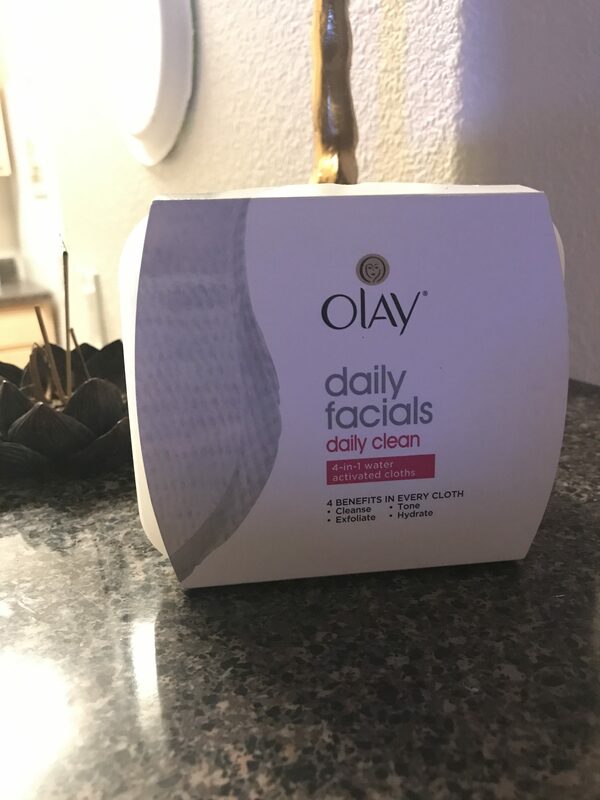 Olay Daily Facials Daily Clean 4-in-1 Water Activated Cleansing Cloths are my new go-to cleanser for a one-step skin-friendly amazing clean. While other wipes I’ve tried started out with a wimpy dampness, Olay cloths start out dry and the magic happens when you wet them. Since I’ve started using these cloths, I love how incredibly clear and bright my skin looks in the morning when I wake up. I have a healthy, soft glow I’ve never seen before. Curious to see for yourself? Get your Olay Daily Facials here! What are you doing to be more beautiful inside and out from the moment you roll out of bed in the morning?